We use the safest and most effective pest control methods to protect not only your investment, but your family. A pest control treatment or system is only as good as the follow up maintenance service that comes with it, learn more about our full range of Termite White ant services in the Adelaide area. Thermal Imaging Cameras are the latest tool to aid the detection of hidden termites in wall, floor, and ceiling cavities. We always employ the best technology so you get the best service. 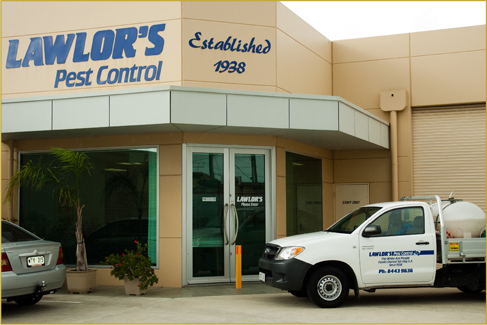 As Adelaide's longest established pest control experts, Celebrating over 80 years in Pest Control, we are the most trusted and best known termite people in Adelaide. At Lawlor's we refuse to cut corners and use gimmicks-we believe our standard of excellence is second to none. Our treatments have been proven safe and effective-why put your home and family's safety in anyone else's hands? Your Technician was totally committed to doing a good job, and that was obvious, furthermore he left the house as tidy etc, as it was when he commenced. He made a very traumatic experience a lot easier than could be expected. I can thoroughly recommend Lawlor’s Pest Control for the treatment of white ants. The initial inspector from Lawlor’s was extremely professional, pleasant to deal with, and extremely experienced with his inspection of my home.